I've always wanted to crash my VR spaceship into a canyon. 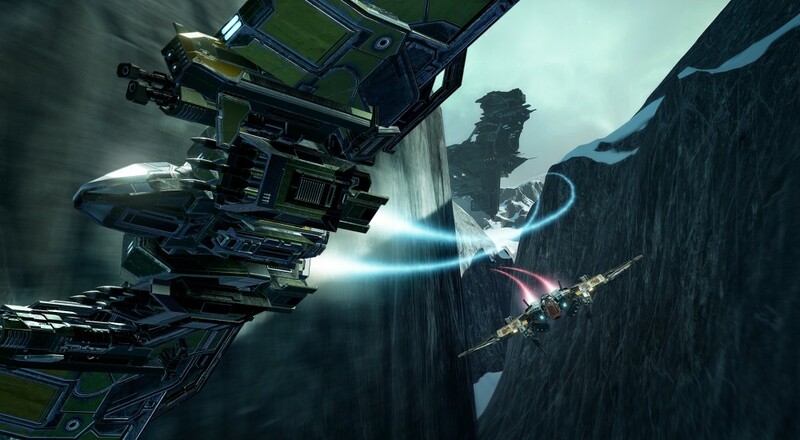 The folks over at CCP Games must've decided to take a quick break from their spreadsheet simulator, because there's a new update out for EVE: Valkyrie. It's a good thing, too. I hear that if you stare at EVE: Online's code for too long, strange runes start to scrawl themselves on your body, and they say things like "B12", and "Z53", and "=SUM(E20:F20)". As far as the game's five player online co-op is concerned, the new modes available are Control and Carrier Assault, meaning you now have a few more ways to spend an evening with your buddies in your simulated cockpits. Alongside this update, CCP Games was clear about their intention to offer the same XP and rewards for the game's co-op and PVP modes. Considering the way a few recent games have handled their co-op modes, this stance feels like a nice reprieve.